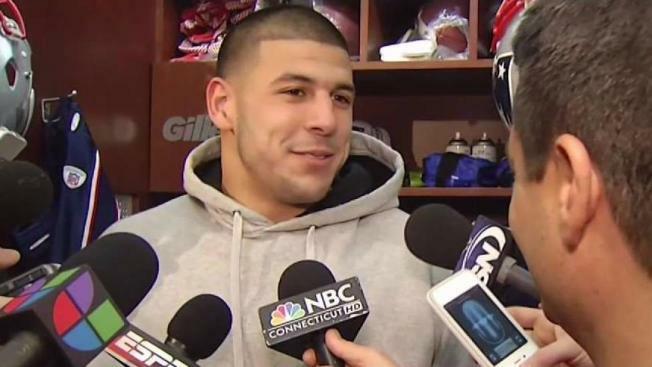 Lawyers for Aaron Hernandez are suing the NFL and the New England Patriots over his death after a brain study showed the former football star suffered from a "severe case" of the degenerative brain disease chronic traumatic encephalopathy. 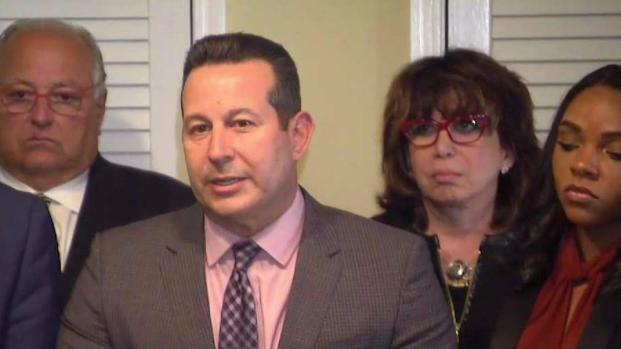 "Not only were the results positive, but we're told it was the most severe case they had ever seen for someone of Aaron's age," Hernandez's lawyer Jose Baez said in a news conference Thursday at his office. The lawsuit was filed in federal court in Boston on behalf of Hernandez's 4-year-old daughter. It claims the team and the league deprived Avielle Hernandez of the companionship of her father. Baez said Hernandez had Stage 3 out of 4 CTE, usually found in a 67-year-old man. Boston University officials who examined Hernandez's brain said he also had early brain atrophy and perforations in a central membrane. CTE can only be diagnosed in an autopsy. Avielle Hernandez's mother, Shayanna Jenkins-Hernandez, attended Thursday's news conference but did not speak. "We are deeply troubled, deeply saddened," Baez said. "And I know for a fact his entire family - especially Shayanna - is deeply troubled by this whole thing." The Patriots did not immediately respond to requests for comment. The NFL said it has not seen a copy of the lawsuit and "cannot comment at this time." 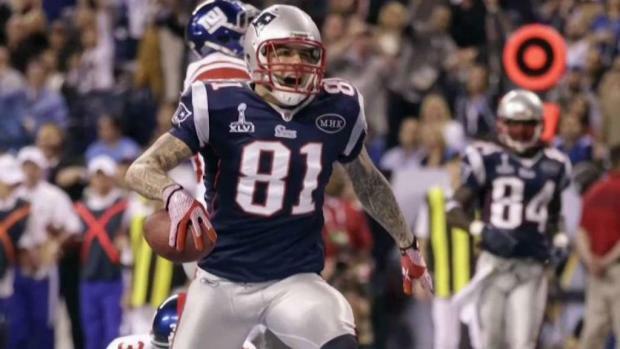 State officials originally refused to release the brain because it was part of the ongoing investigation into Hernandez's death, but later agreed to release it after the ex-NFL star's lawyer accused them of holding the brain illegally.